Is branding yourself as a borderline cartoon character a good way to generate business? Sue Benson is living proof that it can be. 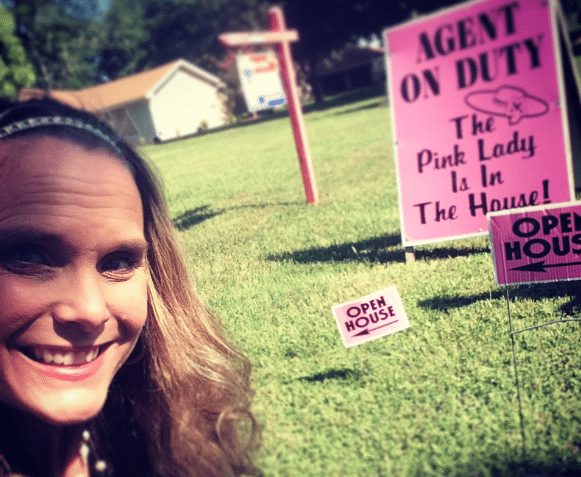 Over the last three years, the Spring Hill, Florida-based agent has worked tirelessly to transform herself into the bubbly, pink-obsessed character, constantly sporting pink attire and accessories, and publicizing her persona through her website, social media and YouTube videos. “She starts off as a ditz,” but “you find that she’s very intelligent woman,” Benson said. The branding tactic has helped earn her media coverage and an engaged following on social media (a source of many of her clients, she said). Some of her longtime friends even call her “Pinky” now, she said. “You want to be a character, in my opinion; you want somebody to remember you when there’s a ton of people out there that are the same as you,” she said. The latest validation of Benson’s approach came last week when one of her clients closed on a $700,000 home. Benson had lost the listing after its owner opted to use another agent, but the buyer decided to hire Benson thanks to one of her stylish listing videos. “One of the things that I mentioned was about owner financing … that was what triggered them to call me because they wanted more information on that topic,” she said about her listing video on the property. We’ve embedded some of Benson’s colorful marketing videos and social media posts below. See how “The Pink Lady” gets it done.